Black Friday is almost upon us and, for many of you (not me), your wallet will be quite a bit lighter this Saturday. Road trips are littered with all sorts of opportunities for rest stops, food breaks, and the like. Lately I’ve been fascinated with stopping into the local shopping mall. I mean, where else can you get an easier slice of Americana than visiting these ol’ kingpins of commerce (and speaking of slices, a greasy slice of pizza at the food court can fit the bill as well). These days, though, I’ve found malls a stark reminder of the economic times standing as crumbling monuments of a bygone era. In the past few months I’ve had the chance to visit a handful of of the saddest malls you’ll ever see. Instead of families or gossipy teenagers stockpiling on clothes and toys, malls have become an extension of the retirement homes, providing indoor walking opportunities to the elderly population. While I laud the efforts to “recycle” or re-use these buildings to provide a comfortable place to exercise – the empty stores and pin-drop ambiance lend to a terribly depressing experience. 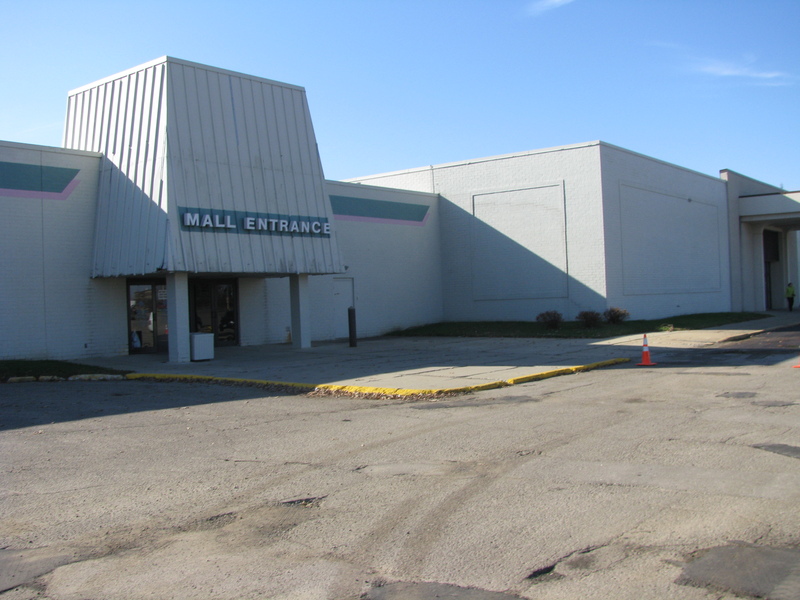 About a year ago I visited the mall in Martinsburg, WV and noted how sad a state it was in. I went in looking for a quick bite only to find two not-so-enticing options at the “food court” and little else. More recently, the malls in Danville, VA (which seemed, literally, more than half empty) and Austin, MN (which could barely be called a mall anymore) seemed to have given way to nearby Target stores. In fact, I could barely get myself to go inside the mall in Austin – all I could do was stare at the worn-out exterior before finally convincing myself to actually have a look. 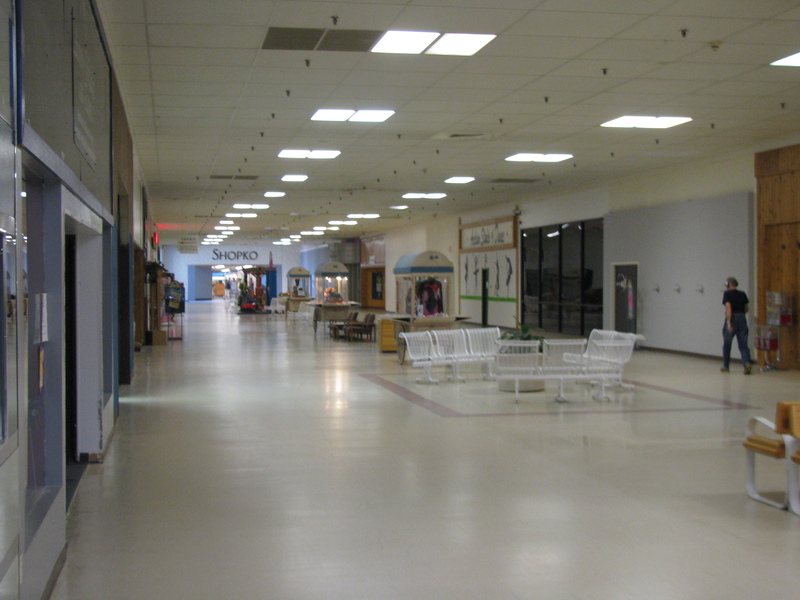 Outside of the handful of mall-walkers, there wasn’t a single shopper in sight, save for the few going in and out of the connected ShopKo. Target, on the other hand, was clean, tidy, fresh and welcoming. Inside the lonely mall in Austin. What has become of malls? Will they cease to exist? I just visited the Pentagon City Mall in Arlington, VA yesterday, where the shopper’s lifeblood still flows. Is it a small town/small city thing? In this have/have not economy, can malls only exist (like major sports franchises) in large metro areas? It’s true that in many small towns these days, businesses are suffering. It’s easily recognized during any drive through. 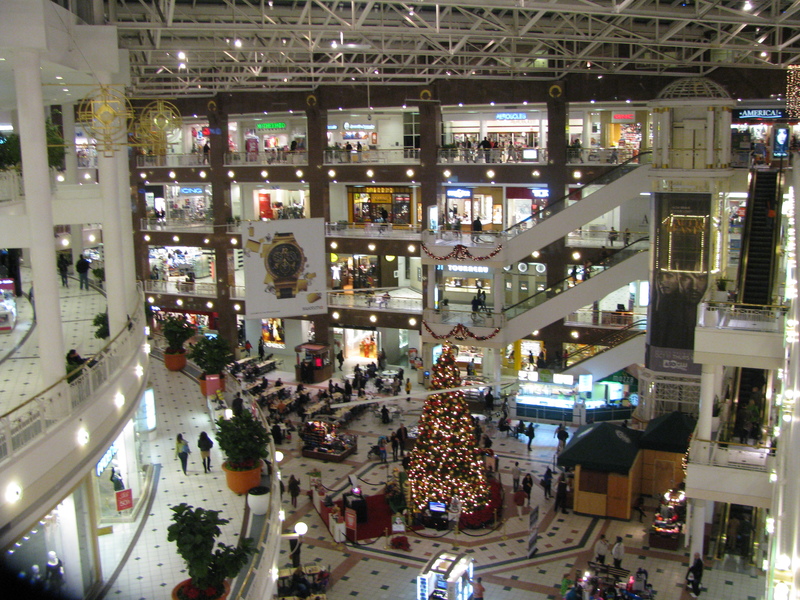 It just seems like when the mall – a symbol of thriving economic times – starts going too, well, then what else?